When I return from a professional development conference at the college I work for, it is common practice to reflect on why I attended and to share what I have learned. Recently, I traveled to the AUSA National Conference as a representative of our Chapter and Second Region. Many times the best way to learn something is to share it with others. I have compiled a list of five things that I learned while attending the National meeting. I welcome any feedback that you have. As you read my post, you’ll understand that I wish to learn from others and will value your takeaways about your involvement in AUSA or even other volunteer organizations that you serve or have served on. Know why you joined – then share it! Well this seems simple enough. The most common question I was asked at National? So, why did you join AUSA? Um, hold on a moment – let me think about this one. Shouldn’t I know this? I know why I joined but I didn’t have my personal message readily available to share. I joined AUSA for three reasons: my mentor, Marc Barker, was involved and he shared why he joined, I wanted to become part of something big that directly affected Soldiers and their Families, and I was at a moment in my career where I needed to grow beyond my position responsibilities. Quite simply – I wanted to add value to my personal and professional commitments. How many can relate to that? Great, I created my own personal message to give to others when asked why I joined AUSA. As the Publicity Chair, I have spent time researching AUSA, its purpose, the value that we bring to our local community, and so on. For some reason, it hadn’t clicked in my mind until I went to National – for the second time. What is the main purpose that I wanted to share? To foster public understanding and support of the United States Army. Period. Who is the public? Everyone. More specifically, lawmakers. Our membership roster displayed on a screen or listed on paper at the time our AUSA leaders speak to lawmakers is the most important message that our members can send. Everything else is great and sustains us as a living entity – but our voice matters. I’m at a pivotal point in my life that I’m beginning to mentor others. I’m also at a point that I still need guidance. During our Young Professionals meeting at National, I listened to ideas shared back and forth between multiple generations. The younger generation wanted to move forward with ideas that could retain and attract them – relevant branding, value of involvement, and activities geared to their lifestyles. 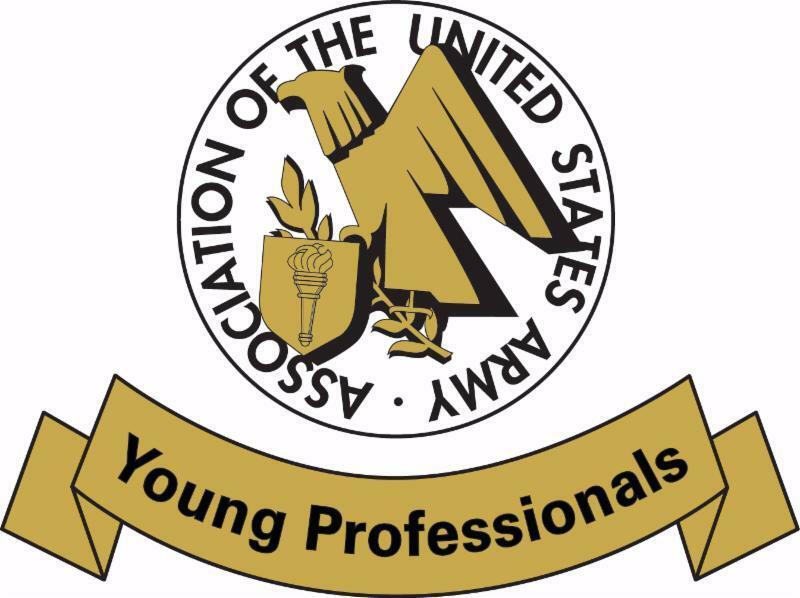 The older generation wanted to hold on to the core values of why AUSA was created and to ultimately grow membership – because that generation knows that it’s the right thing to do. They understand AUSA’s primary purpose. We need each other – so we need to ask for help. If you were to ask me if I would attend a networking event – I would probably decline. Ask me if I want to join you to meet a few people with similar interests in an organization that supports the military community? Sure! Thanks for inviting me by the way. I’ve learned that when you are new to an area or looking for growth either personally or professionally, you must take responsibility to learn more about your community and what is available. I knew by joining the local chapter, I would find others with common interests like my own and who place a high value on our military community. The best bonus – developing long-lasting relationships. I have met people who have moved to Fort Campbell like myself and I have also met people who were raised here that place a high value on retaining Soldiers, Veterans, Retirees, and the Families in the community. Being involved has provided me the exposure I needed to the military community but it’s also given me the opportunity to connect with others in our local communities. I know what I like to do. I know what I am comfortable with. I want to share those things but I also want to grow. When I first became involved – I hunted for anything that I could remotely contribute to and desperately wanted something to do in our chapter. You want to be involved in publicity? Sure. I am finding my place in the mold for our chapter. You may not want to commit to serve on the board or be as active, but that goes back to AUSA’s purpose. To foster public understanding and support of the United States Army. You don’t have to be on a board to do that, you just need to be part of the voice – and with AUSA, that is membership.